Electromagnetic radiation with a slightly longer wavelength than visible light, between about 700 and 1050 nanometers. Electromagnetic radiation with a slightly longer wavelength than visible light, between about 700 and 1050 nanometers. 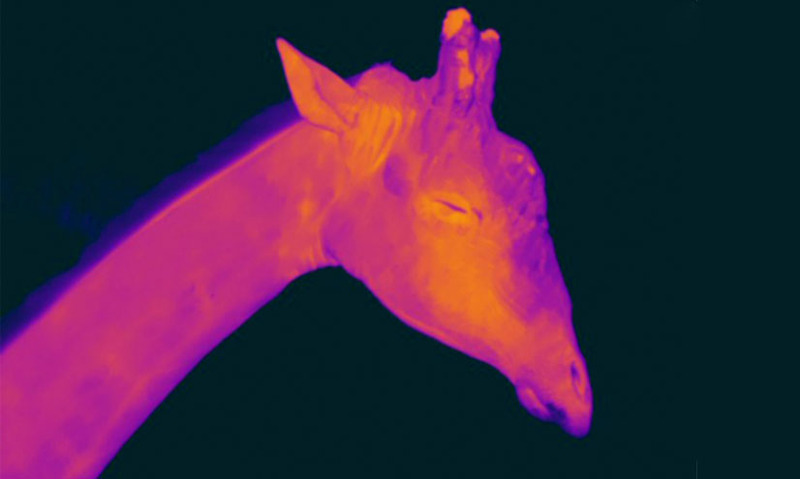 Though the human eye can't see in the infrared, we can feel infrared radiation as heat. All objects, even cold ones, emit some infrared radiation through a process called black body radiation. This is useful in night vision applications and also in astronomy for seeing dark objects that do not emit visible light. Though the human eye can't see in the infrared, we can feel infrared radiation as heat. All objects, even cold ones, emit some infrared radiation through a process called black body radiation. This is useful in night vision applications and also in astronomy for seeing dark objects that do not emit visible light.